The St. Petersburg Cardinals had the lead in this June 1991 game and Wander Pimentel helped them extend it, according to The Orlando Sentinel. Pimentel singled in the seventh, knocking home the high-A team's third run. St. Petersburg went on to win the game 4-1. Pimentel played for the high-A Cardinals in his second season as a pro. He went on to play in three more seasons. He made AA, but didn't make it higher. 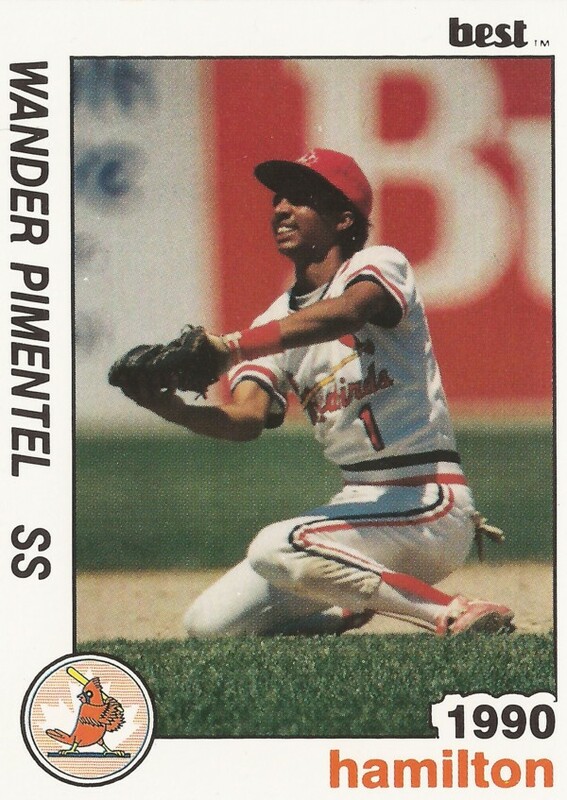 Pimentel's career began in 1990, having been signed the year before by the Cardinals as a free agent out of his native Dominican Republic. He started with the Cardinals at short-season Hamilton. He got into 69 games and hit .188. The shortstop moved to St. Petersburg and single-A Savannah for 1991. He hit .177 overall, with 15 RBI over 107 games. With Savannah in April 1991, Pimentel knocked in the go-ahead run in the eighth inning of a win, lining a shot off the pitcher's arm. He played 1992 at single-A Springfield hitting .183 over another full season. He then split 50 games in 1993 between St. Petersburg and AA Arkansas, ending with another sub-.200 average. Pimentel played 25 games at St. Petersburg in 1994 and two final games at Arkansas in 1995, ending his professional career.